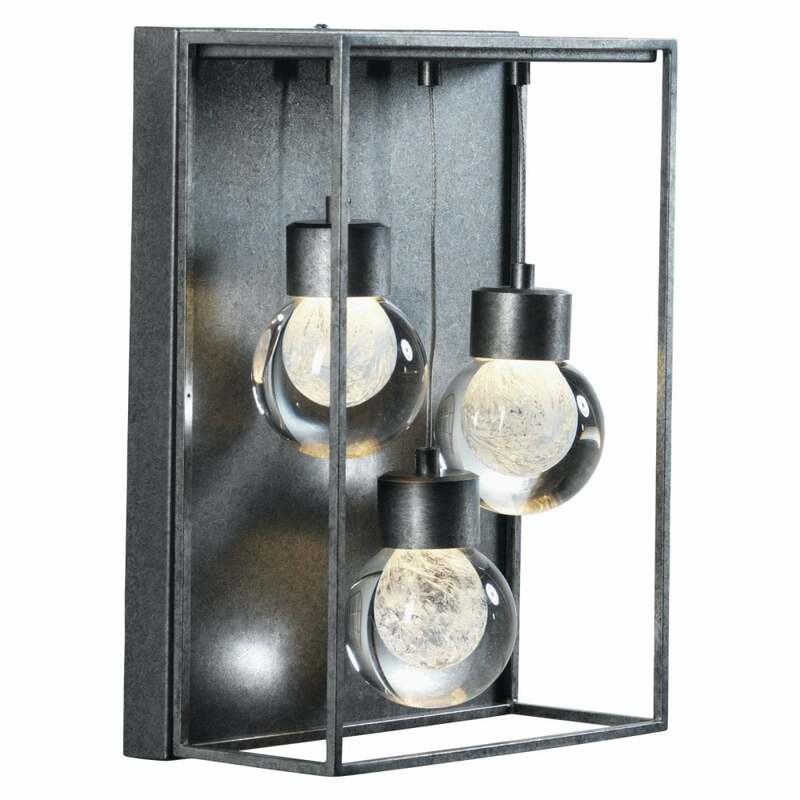 Oaks Lighting Samos 3 light LED wall fitting features a box lantern style shade, in antique silver finish with clear glass panels. Inside the lantern is a trio of globe style lamps suspended at different heights. The product code is 2201 WB AS. This unusual design will add an industrial look to any modern or traditional styled decor within your home, the integrated warm white LED's provide bright illumination and teamed with the matching ceiling pendant will complete the look. The Samos range also includes a 7 or 3 light pendant which can be viewed on our website.